The 2018 Grammys had their highs and lows, but the red carpet looks were absolute music to our eyes. 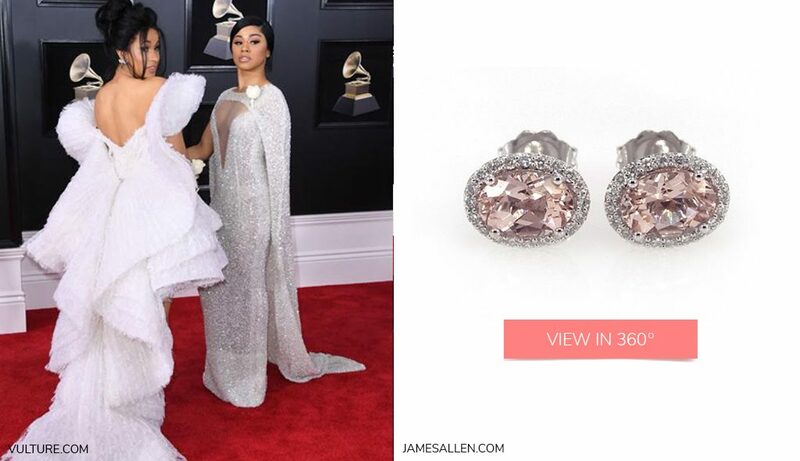 Turns out Bruno Mars wasn’t the only one with 24K Magic at this year’s awards; check out the 2018 Grammys looks that rose to the occasion and our matching James Allen jewelry picks. 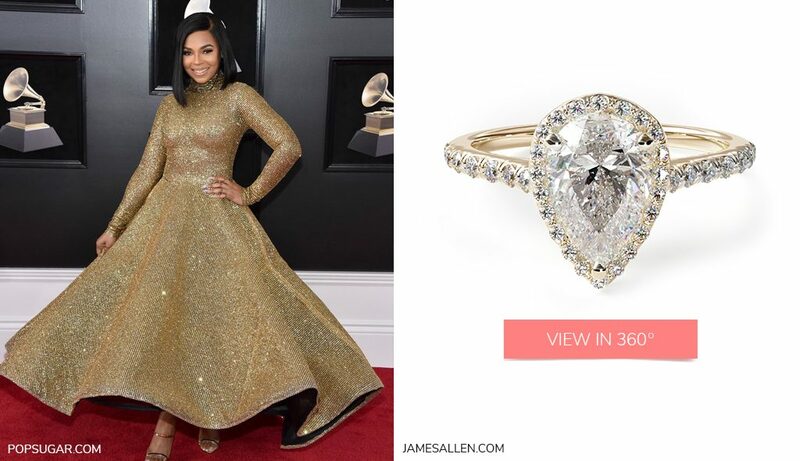 Much like Ashanti, this trending pear shape engagement ring is Always on Time. Both the gown and this ring shimmer from every angle in radiant gold. Ne-Yo’s unique crushed yellow velvet jacket earns him the title of Mr. Independent. 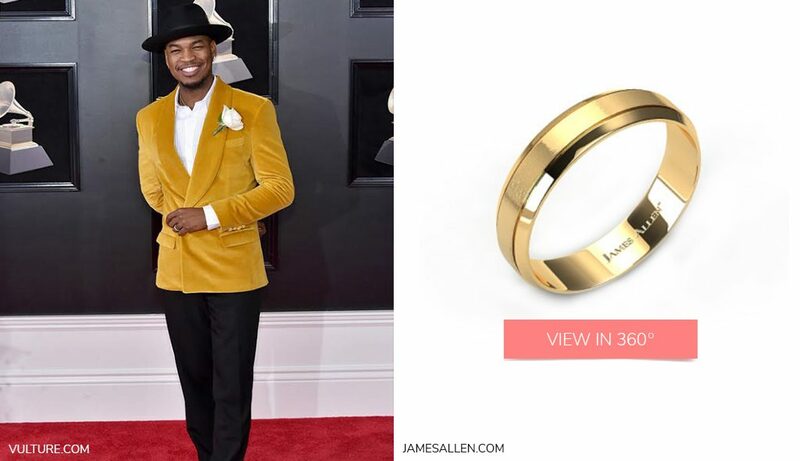 Echo the class and texture of Ne-Yo’s look with this etched gold wedding band. Lady Gaga turned heads with her dramatic black sheer lace Armani ensemble. We’re obsessed with the couture lace details mirrored in this vintage engagement ring. Sisters Cardi B and Hennessy Carolina complemented each other in show-stopping white gowns and light pink lipsticks. Find their Finesse with these gorgeous studs. 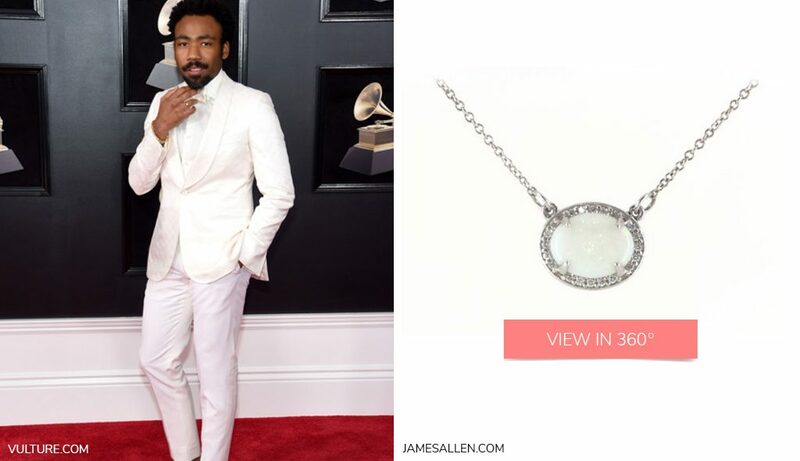 Writer, actor, and musician or Donald Glover’s all-white three-piece suit: which makes a more heavenly trio? We’ll opt for white gold, opal, and diamond while we decide. Just when we thought nothing could top Janelle Monae’s signature look, she goes ahead and pulls out an embroidered masterpiece. Rock her bow-tie style with this glittering engagement ring. 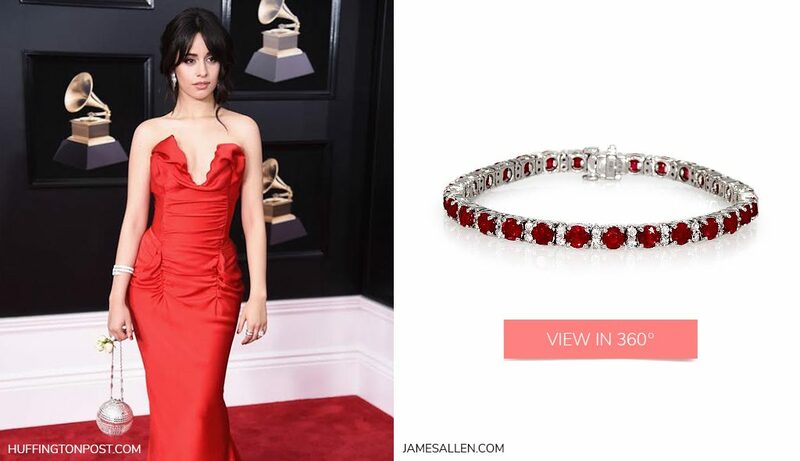 We’re Havana tough time getting over Camila Cabello’s bold scarlet gown. Make your own diamond and ruby red statement with this gemstone tennis bracelet. Love the tune of these red carpet looks? Browse even more gorgeous jewelry. 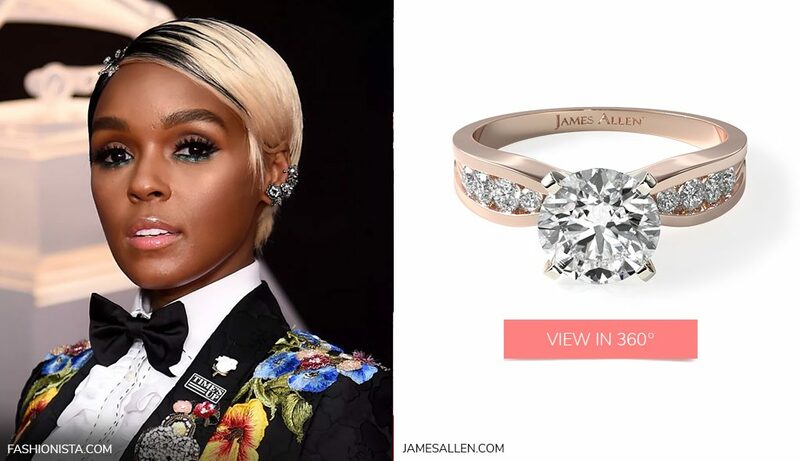 Speaking of music and love… Check out our customer’s adorable acoustic serenade proposal and our celebrity engagement ring lookalikes. Which is your favorite look and jewelry pair? Comment or share on Instagram, Facebook, or Twitter.